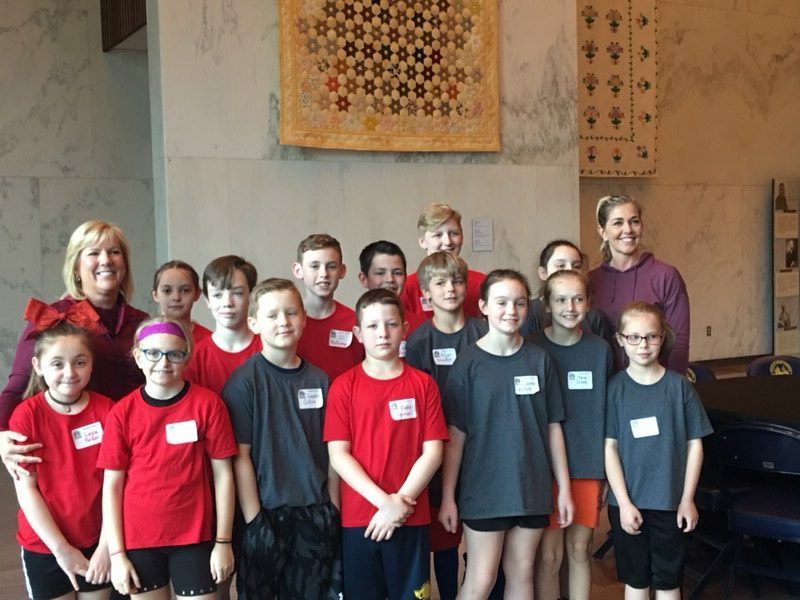 14 students were selected from grades 3 - 5 at Big Otter Elementary School to compete in the Fittest School Challenge (Operation Tone Up) at the WV Cultural Center in Charleston, WV. Students competed against other elementary schools from surrounding counties in various nutritional and physical fitness challenges. Big Otter Elementary took 2 teams and placed 2nd and 3rd overall in the challenges! Congratulations to these students and thank-you to Mrs. Deloris Kleman and Mrs. Sissy Barker for all their hard work with these students!